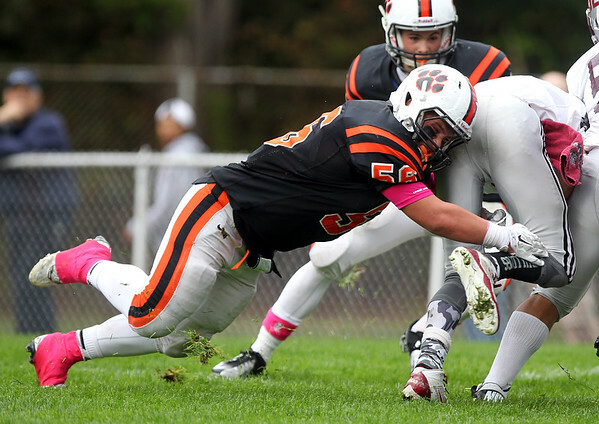 Beverly senior captain Jimmy Kastrinakis (56) drags down Lynn English quarterback Lucas Harris from behind. DAVID LE/Staff photo. 10/18/14.